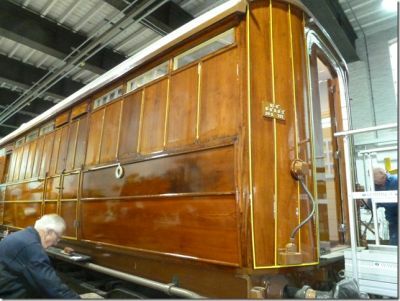 Varnishing complete at this stage. 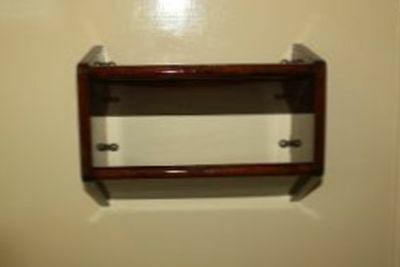 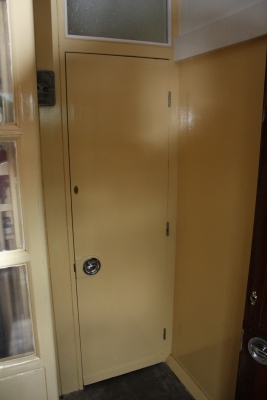 Corridor door has been finished and fitted. 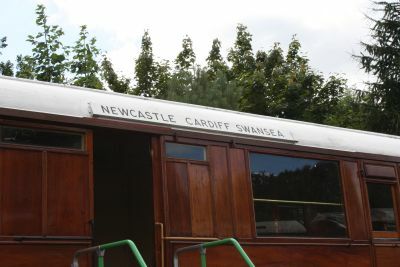 Note the Number “4”. 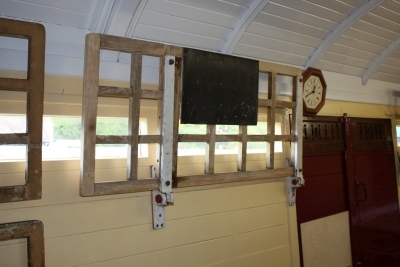 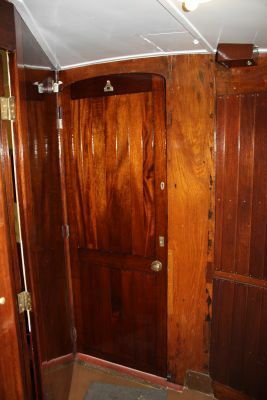 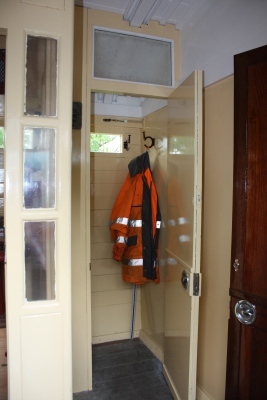 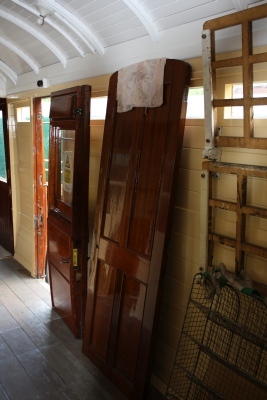 This door was once used in a sleeper Carriage. 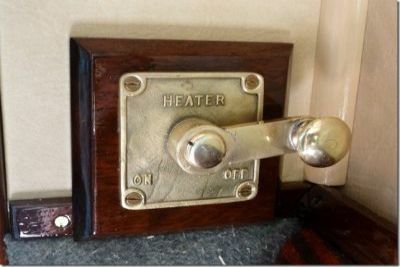 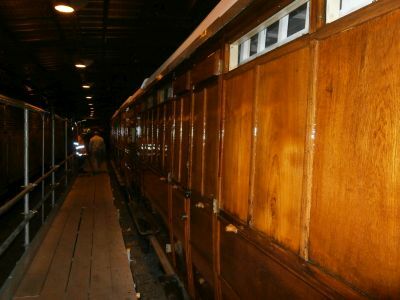 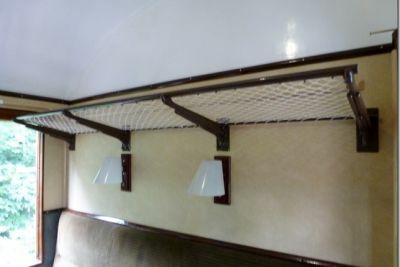 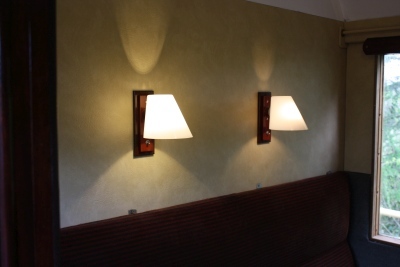 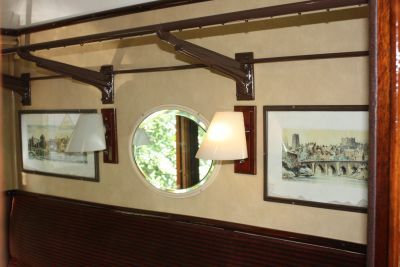 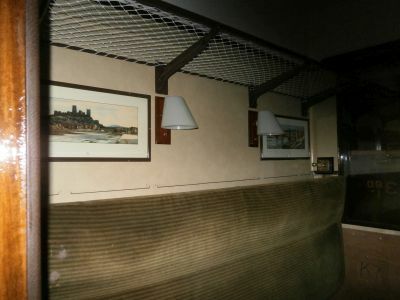 The compartment walls have been covered with Rexine and the lamps fitted. 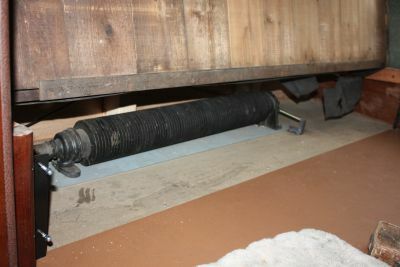 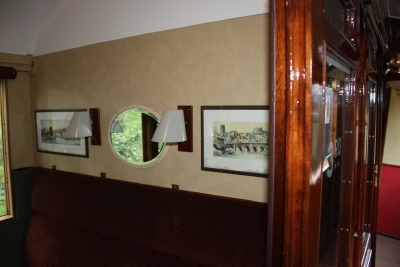 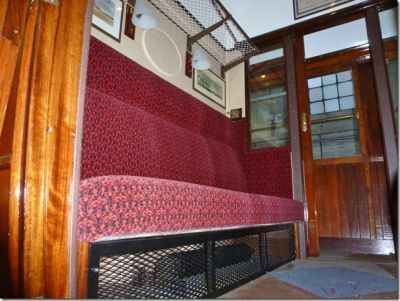 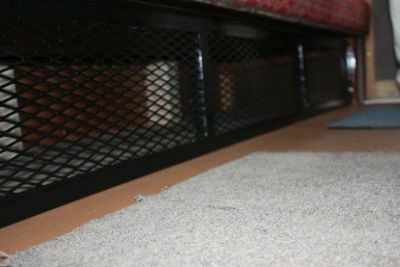 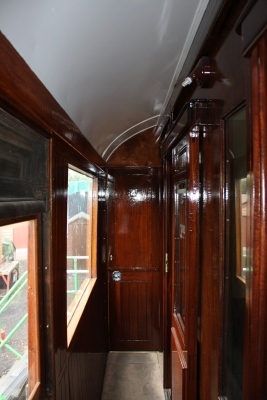 The photo on the right shows how the completed compartment should look. 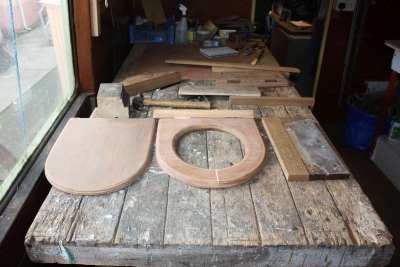 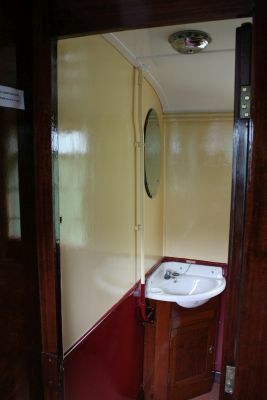 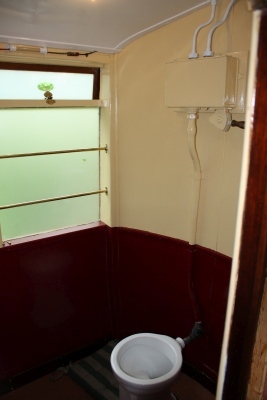 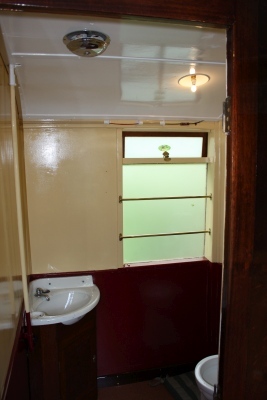 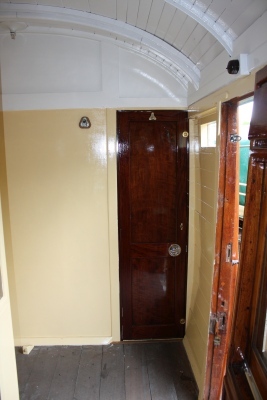 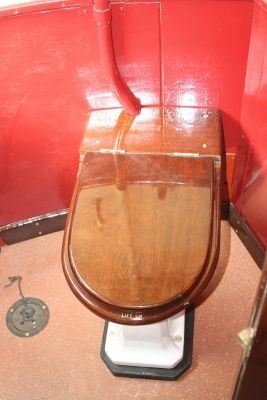 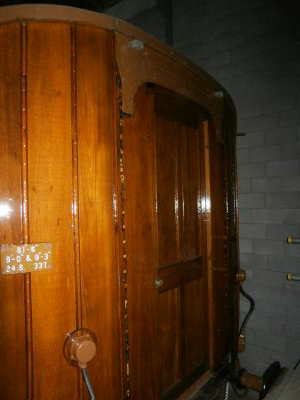 Work has continued with the fitting of the compartments and toilet. 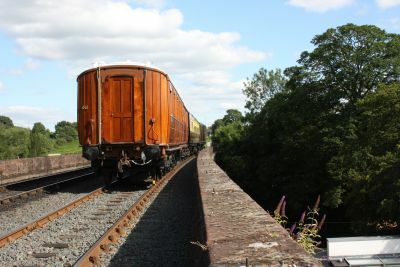 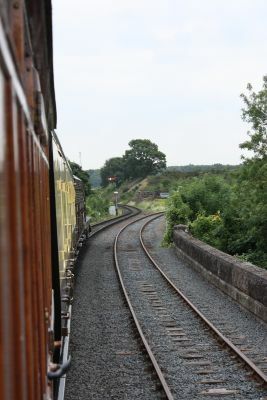 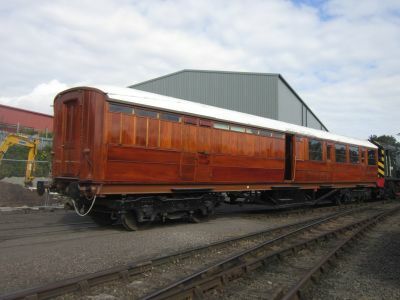 from the back siding ready for the move to Kidderminster. 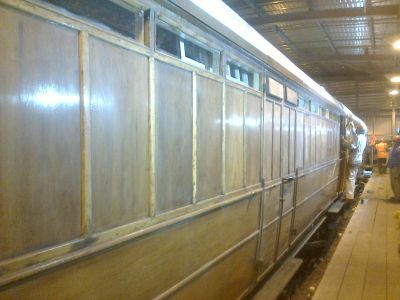 Carriage is prepared for 4 coats of varnish! 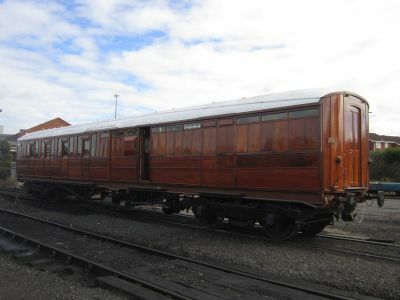 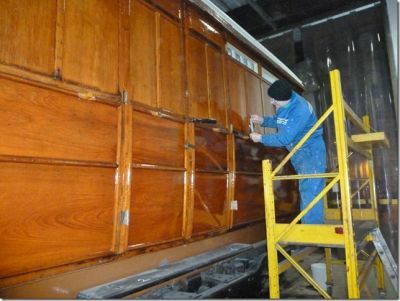 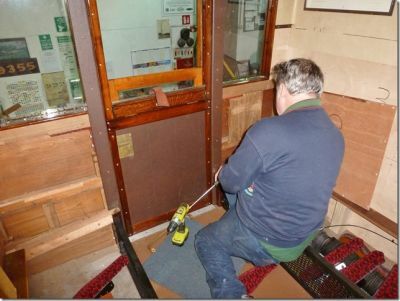 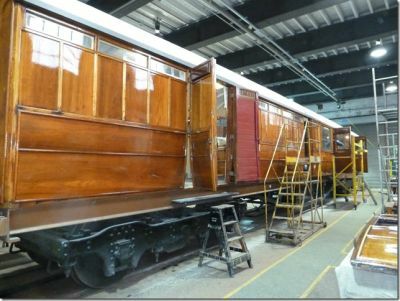 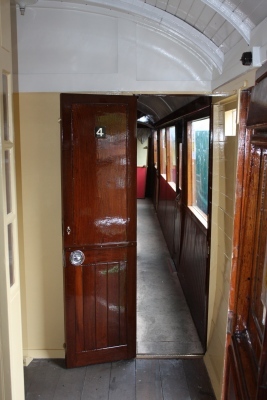 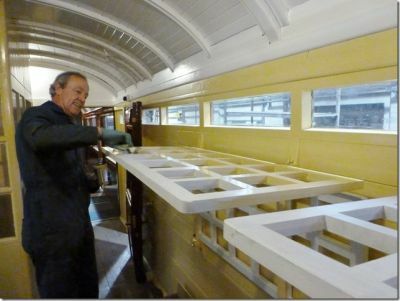 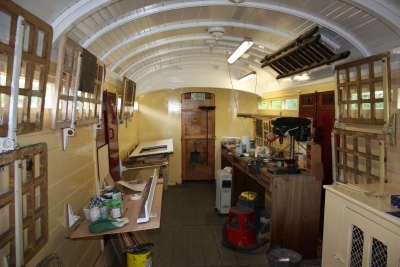 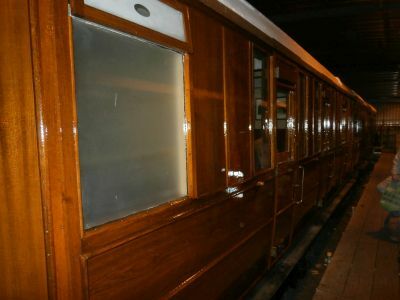 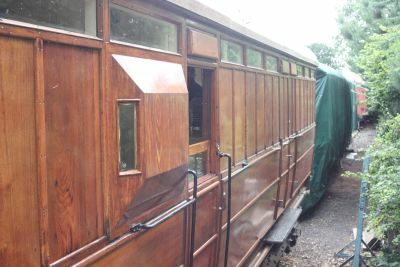 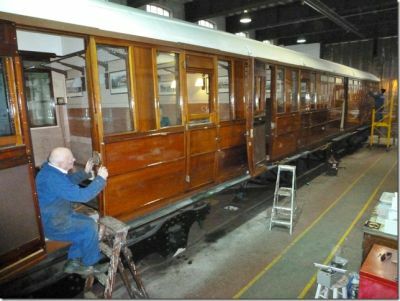 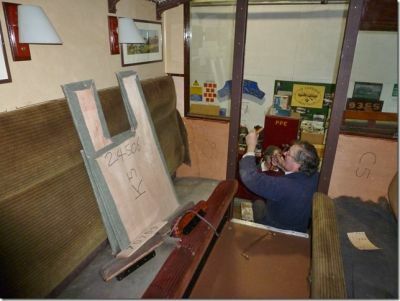 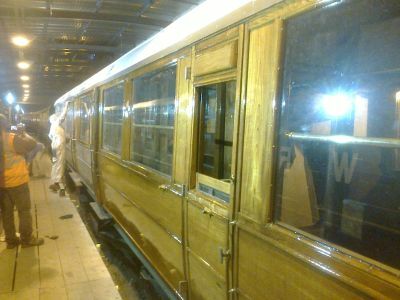 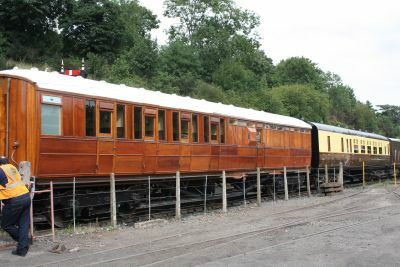 The Carriage entered the Kidderminster Paintshop for Lining out.